WIP Wednesday – Inspiration strikes in the strangest places! I’ve been making slow progress this last week on Unchained by a Forbidden Love, Fuery and Shaia’s book in the Eternal Mates series. Until I was in the shower this morning, and I thought about the scene I had become stuck on, and realised it needed changing. And then, I realised I needed to tweak some other things in the remaining chapters in order to make them work. I wasn’t sure about the story from this point forwards anyway, something felt off about it, just not quite right… but as I began thinking about it, it all sort of fell into place in a way it had refused to do before. So rather than writing more for the book today, I’ve been revising the outline, moving things around, removing some stuff, and layering the new stuff in to make it all work with the plan that came to me this morning in the shower. I had really wanted to get the book completed in first draft this week, but I still have another 10 chapters to write, so I’m thinking it’s going to be done by end of next week, and then I’ll move on to editing it. I also have an update for my audio books! I’ve completed my check of Awakened by a Demoness, and once the final edits are back from my narrator, I’ll be ready to hit the go button on this audio book and it will be in stores a couple of weeks later. I’m thinking it will be available at the end of the month. I’m about to start listening through Haunted by the King of Death, and my awesome narrator has already begun work on Turned by a Tiger. It’s all go! In the meantime, Possessed by a Dark Warrior is now available and I’ll be updating my website with links for the audio book as they become available. Yay! 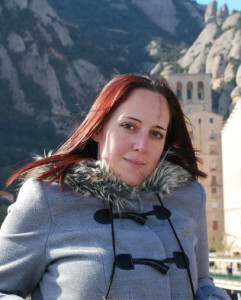 As always, my comments are open, and I’d love to hear from you! Posted in Audio Books, Awakened by a Demoness, Eternal Mates, Haunted by the King of Death, paranormal romance, Possessed by a Dark Warrior, Turned by a Tiger, Unchained by a Forbidden Love, writing	| Comments Off on WIP Wednesday – Inspiration strikes in the strangest places! 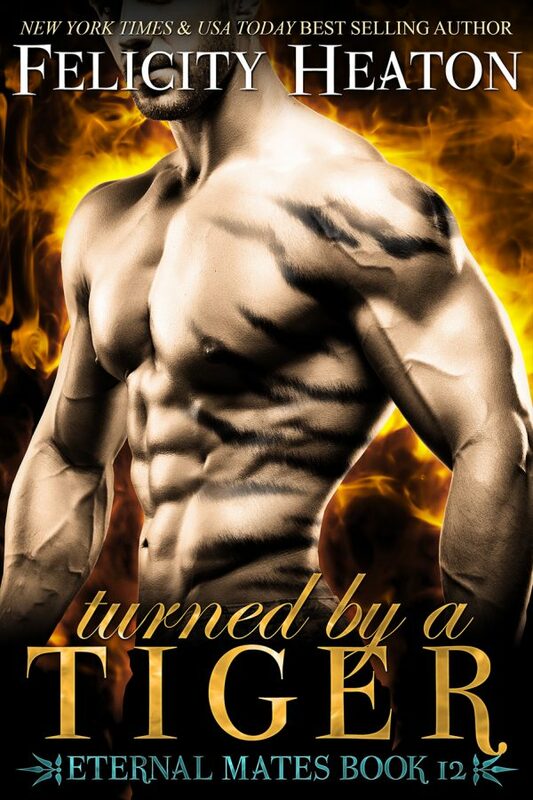 Turned by a Tiger (Eternal Mates Book 12) is out today + awesome giveaway! 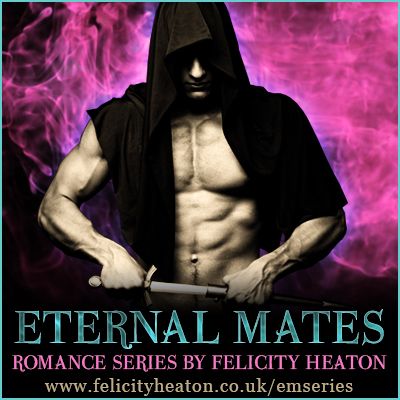 Happy New Release Day to Talon and Sherry in my Eternal Mates paranormal romance series! On the verge of bleeding out and hunted by his merciless torturers, Talon has no choice but to seek sanctuary at Underworld, a nightclub run by a jaguar shifter liable to kill him on sight for being a tiger shifter male. What he finds in the old warehouse isn’t the grim shadow of Death though but an angel of mercy, one who offers him salvation and revenge—one who happens to be his fated mate. Tending bar at Underworld is never dull when you’re a mortal surrounded by immortals, but when a gorgeous tiger shifter covered in blood stumbles into the club, and set’s fire to her boss’s temper, Sherry’s entire world is in danger of being turned on its head. Something about the mysterious warrior has her stepping in to save him, something that ignites her heart and stirs her soul, and no matter how fiercely she fights it, she can’t hold herself back. When Talon reveals the name of his captors, and his plan to head back in to save his friends, will Sherry be brave enough to embrace the feelings he stirs in her and step deeper into the world of immortals? And will Talon be strong enough to resist the lure of Sherry to protect his family’s secret or will he risk everything to claim his eternal mate? Enter the grand tour-wide giveaway to win a $25, $50 or $75 Amazon Gift Card at the Turned by a Tiger book page. This giveaway is international and open to everyone, and ends at midnight on July 16th. Posted in 2017 releases, Eternal Mates, Excerpts, new release, paranormal romance, shapeshifter romance, Turned by a Tiger	| Comments Off on Turned by a Tiger (Eternal Mates Book 12) is out today + awesome giveaway!